The General Plan was last updated in 2001 with a housing update in 2010 and includes information on preserving open space, removing invasive species and introducing stricter water conservation measures. Joined ICLEI‘s Cities for Climate Protection Campaign. Achieved a Gold Spotlight Award for the Institute for Local Government’s Environmental Best Practices. Communitywide Greenhouse Gas Inventory completed. Currently developing a Climate Action Plan by seeking input from residents through workshops and other avenues. The plan is to reduce their emissions by 125 thousand tons by 2020. Has the Blue Marble Challenge to help residents who wish to reduce their energy usage. Participates in Energy Star Benchmarking program and Time-of Use Rates program sponsored by PG&E. Participates in GreenTraks, an energy platform system that monitors City energy use and GHG emissions. Entitlement EECBG application for LED lights for residential areas and the community areas as well as green workforce training. Retrofitting 1,192 streetlights with LED lights. Converted all of Pittsburg’s red and green traffic lights to LED technology. Joined El Cerrito and Richmond in adopting a plastic bag ordinance. The provisions of the ordinance include banning retailers from providing single use plastic bags, only supplying customers with recycled paper bags or reusable bags and charging 10 cents per paper bag distributed. Encourages residents and businesses to incorporate Integrated Pest Management practices focusing on biological and physical alternatives instead of chemicals for pest control. Resources can be found on their Safe Pesticide, Insecticides and Fertilizer page. Increasing opportunities for e-waste and hazardous waste recycling by partnering with the Delta Household Hazardous Waste Collection Facility. The facility spearheads several environmental programs for the region, and accepts pharmaceuticals, batteries, electronic waste, mercury, sharps, paint, and more. Instituted a comprehensive waste reduction and recycling program in City Hall that encourages a reduction in paper use via electronic payroll documents, water bills, City Council agendas, online budgets, tablets, and centrally linked computer and printing locations. Offering community garden workshops covering topics from composting to raw foods. Residents are equipped with garbage, recycling, and yard waste toters which are all picked up weekly. Residents are encouraged to bring their hazardous waste to Delta Household Hazardous Waste Collection Facility. The city has met 1989’s AB 939 which requires cities to reduce their solid waste by 50% by 2000. Encourages residents to opt out of receiving junk mail and phone books. Offers residents free motor oil pick up containers and certain oil collection centers offer monetary incentives. The City Council passed a resolution to support the Extended Producer Responsibility Policy in addition to a previously existing Environmental Preferential Purchasing Policy. Pittsburg uses recycled water for most landscape irrigation. Has the Blue Marble Challenge to help residents who wish to improve water conservation. Created Water Conservation page on website with information about free water audits, rebates, free water saving devices and other water saving tips and resources. Participates and promotes the Lose a Lawn, Get a Garden program. Has the Blue Marble Challenge to help residents make transportation choices that have a reduced environmental impact. Adopted the Complete Streets Program. Offers BikeLink bike lockers downtown to promote active transportation. Maintains local bus services through Tri-Delta Transit and County Connection. Under the guidance of the East Contra Costa County Bikeway Plan, Pittsburg will be adding bike lanes to all major streets. Pittsburg is seeking development of a Transportation Demand Management program which includes ridesharing and increased public transit use as well as shifting traffic to less congested times. Hosted Hosted the annual Great Pittsburg Clean Up where volunteers cleaned up Kirker Creek. Maintains the Transit and Trails program where residents are connected to parks and open spaces and receive advice on public transportation options. Pittsburg encourages residents to join the East Bay Regional Park 2012 Trails Challenge. Contains two regional preserves: the Browns Island Regional Shoreline and the Black Diamond Mines Regional Preserve which has been set aside for endangered and threatened species and habitat enhancement. Pittsburg is looking to develop a program for removing and preventing growth of invasive species. Guidelines include making a list of native species to plant. Partnered with the East Contra Costa County Habitat Conservancy to implement a habitat conservation plan in order to save endangered species. Hosts an Adopt-A-Spot program in which residents and businesses can “adopt” parks, creeks, streets, trails and plazas and perform maintenance and beautification projects with the help of the City and are which are recognized on the Pittsburg website. Pittsburg High School competes in the Green Campus Challenge—Battle of the Classes, raising awareness of the importance to reduce, reuse, and recycle. Students compete as a class to be the best recyclers, have the best green rally cry, make the best green video, create the best recycled material fashion show pieces, participate in the best green community service project, and more. 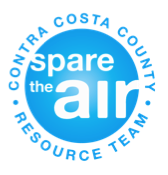 The City partners with Mount Diablo Recycling, and winners of each sub-competition collect prizes for their class. Adopted a partnership with local schools (K-12th grade and ESL students) for waste reduction and recycling: Eco-Education for Fun and Future. The partnership creates field trip opportunities for students at the Mt. Diablo Recycling Facility and Recycling Center & Transfer Station. After passing its Plastic Bag Ordinance, the City of Pittsburg launched a plastic bag pledge with Pittsburg junior high schools. Providing 3,000 reusable bags to middle schoolers, the pledge encourages students and their families to swap out their plastic bag habit for reusable bags. The City of Pittsburg’s Delta Waters Program, hosted at the DOW wetlands in Pittsburg, educates hundreds of PSU third and fourth graders each year about the importance of clean water resources for humans, animals, and local water bodies. The program is a collaborative effort between City staff, the California Department of Fish and Wildlife, and local high school and community college professors. Launched a Facebook Page for public communication and involvement regarding environmental issues. Joined nine other cities to compete in the Cool California Challenge. Pittsburg encourages residents to take the Blue Marble Challenge and offers strategies on how to reduce their impact.